If you think 2016 was little erratic, 2017 will prove a boundary-pushing year for interior decor. At least, that’s what design team at AmerAdnan Associates is seeing with their interior decor trend forecast for the New Year. From jaw-dropping paint colors to unusual textures, stunning new trends are on their way out. 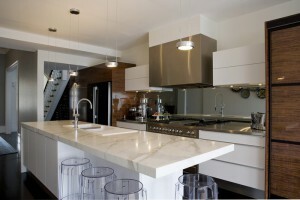 You are not just noticing it on Pinterest, marble is fast becoming a dominant trend. There is hardly any market untouched by this material as it is showing up in almost all the areas. The material looks even better when paired with wood and metal. Locally extracted marble has started dominating the tile market since peace is restored in the northern areas of Pakistan and it has hit the shelves again. 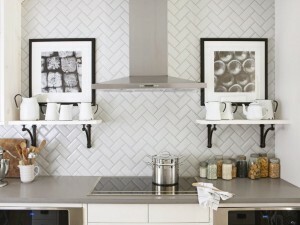 Another interior decor trend that is swiftly cementing its place, is subway tile. Though it’s not new, but it’s such a versatile and classic choice that it works with almost all kinds of styles. Most of all, it’s within your means at any price point. While the new look of the tiles gives your space a unique touch. Subway tiles are successfully incorporated by numerous interior designers in Lahore in cooking areas to give the space an elegant feel and exquisite touch showing no signs of dirt. A ceruse finish denotes the technique that draws out the unique grain pattern of the wood. 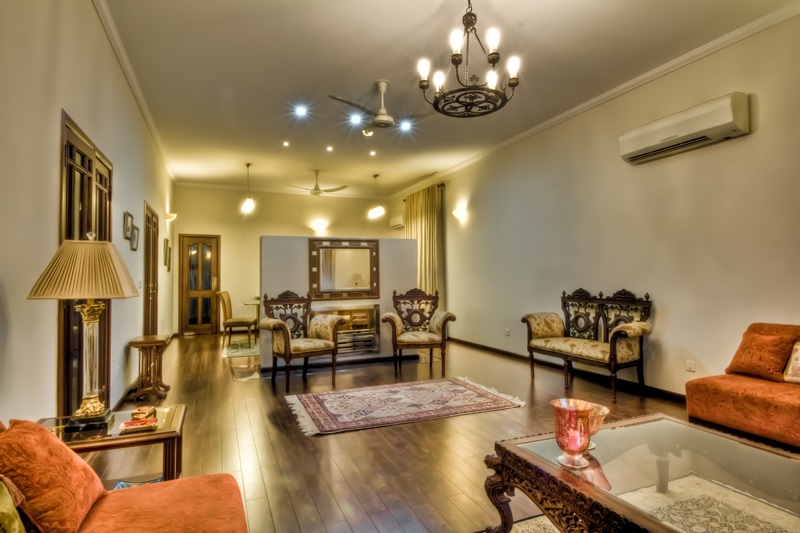 Most construction companies in Lahore are of the view that after dominating the high-end market for some time, this trend has finally oozed down and appears to be accepted universally. In 2017, you will see it on tables, chairs, cabinets, and storage furniture. 2017 will be the year when you’ll final say bye-bye to beige. The new look for your walls will be full of spectacle and interest. Deep jewel tones like amethyst, emerald green and pastel colors, which originate in natural surroundings will remain popular in the New Year. And not to forget Benjamin Moore’s color of 2017, the rich and deep: Shadow. We live in an era where our lives revolve more around devices than any of the other things. 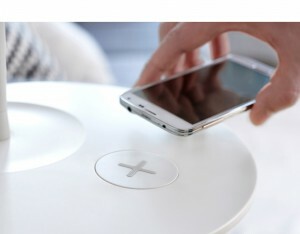 So you will be seeing more and more imaginative ways of installing charging docks and other stuff dedicated to these devices in your home design. For instance, you walk into your abode cue up some music on your smartphone and start playing it on the nearby speakers. No docks, no cables – just instant, easy, wireless music without having to place a separate iPod dock for each room. This inflection is a classic for furnished pieces, but in 2017 it will be used in more creative ways. 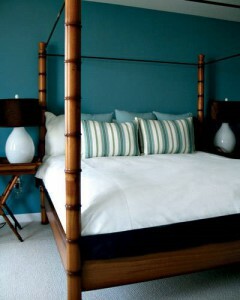 Interior designers are expecting to see this trend go beyond traditional upholstery into credenzas and storage chests. In fact, you are pretty likely to see it on the base plates of lighting fixtures. 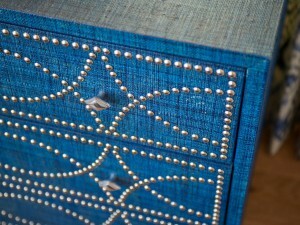 Some designers may even use nail heads on the piece of furniture to create a pattern. The look for 2017 kitchens will be bold without being in your face. 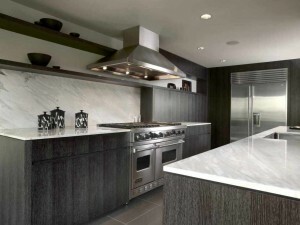 More importantly, matte finish appliances will dominate your cooking area as it seems that matte black iPhone 7 has not only inspired smartphone users but interior designers and appliances manufacturers too. 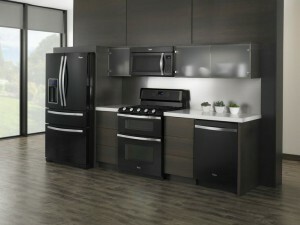 As a result, we will be seeing matte finish appliances in the kitchens. They will shift away the focus from all other distractions and serve as a wonderful layer in your home design by giving depth to the overall composition and highlighting other finishes.